Inside this thing has two Intel Pentium III Xeon processors, running at 750MHz each. Where you see the RAM is actually a tray of RAM. 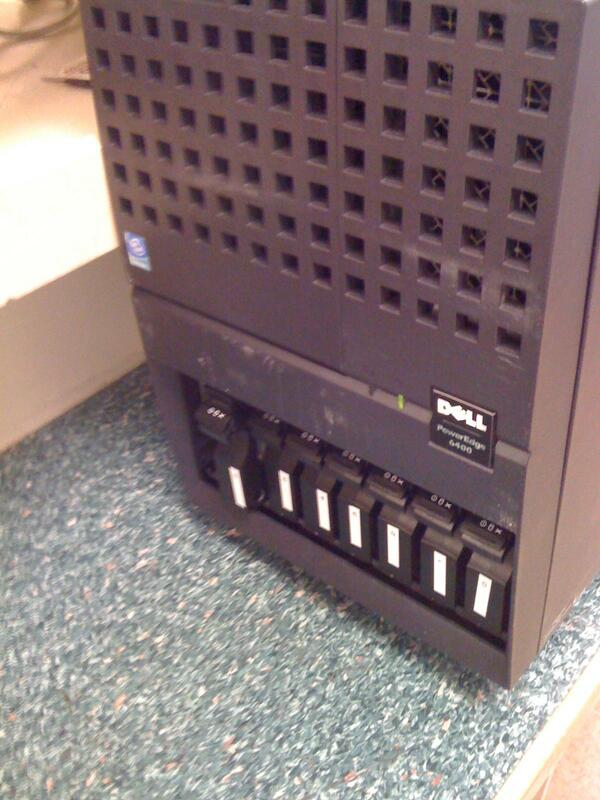 You can remove the tray and fill up 16 DIMMs. Hot swappable PCI ports too. Three redundant power supplies in case a tornado hits or something. I'm planning on getting a SCSI drive or two and getting Solaris running (or perhaps Nexenta).